Hey, man! Don’t harsh my buzz! Recreate your favorite scenes––err, the ones that don’t involve getting high while operating a motor vehicle, anyway––from the classic stoner comedy franchise Cheech & Chong with Tommy Chong’s character Anthony “Man” Stoner from 1978’s Up in Smoke. Guess what Anthony “Man” Stoner is known for? If you guessed some variation on his surname, you’re close! How fortunate he has a name like that, so no one will get confused about what he does. If anyone tries to give you any guff about your chosen vice and its supposed effects, just remind them of that time Yale graduate and professional smarty-pants Anderson Cooper was “crushed” (Cooper’s own words) by professional stoner and San Fernando Valley State College dropout Cheech Marin on Celebrity Jeopardy. Take that, Ivy League! You might have better networking, but you’ll never beat us “normals” at pop culture trivia! 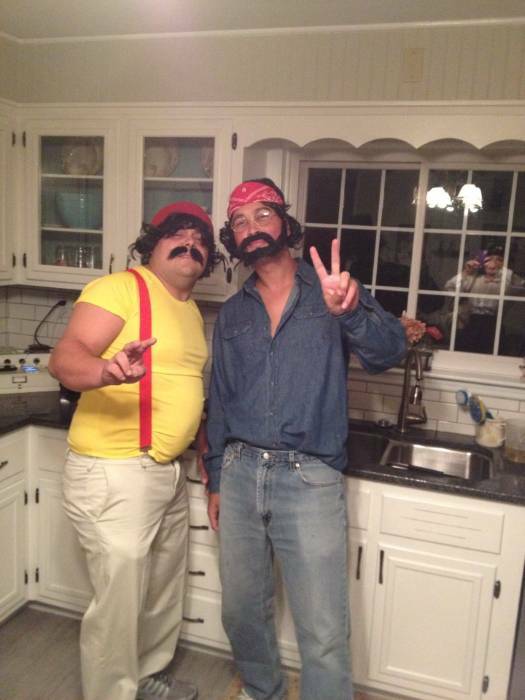 Speaking of Cheech, a friend in a Cheech/Pedro de Pacas costume (yellow cutoff tank top, red suspenders, red beanie, black mustache) will really make your Chong recognizable, but a Paul Reubens/Pee-wee Herman (slim cut gray suit, red bowtie, perpetual glee) or Doug Benson (hoodie, perpetually faded) will do in a pinch. Complete your Chong/Man Stoner look with a jean jacket with a bunch of patches and buttons on it. You might just get mistaken for an old hippie by those not in-the-know, but that’s basically what you were going for anyway, right? 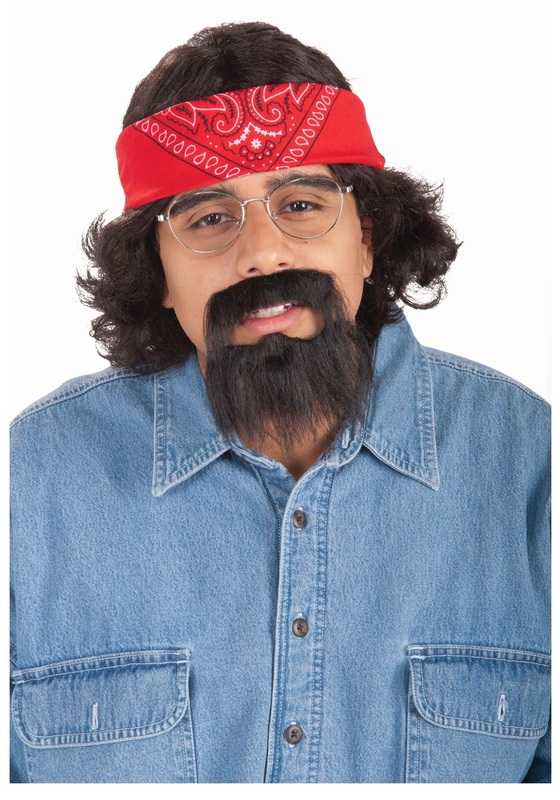 Get yourself a different wig and beard (or your own pigtails and beard), and it doubles as a Willie Nelson getup! What do stoners love about denim and headbands, anyway? Everything was as advertised on this. Turned out great.